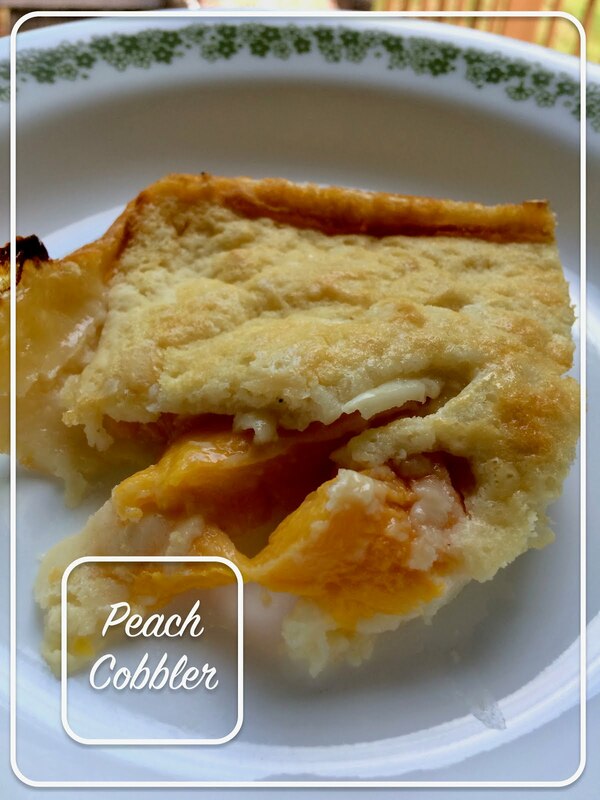 Ahh, peach cobbler. One of my all time favorites. Did this recipe live up to my expectations? First, the recipe was not clear. I was unsure if I should drain the peaches, so I didn't. I looked up a few other recipes online and they kept the peaches in their syrup, so I figured I'd keep them in their juice. The batter was very soupy, and I was not sure it would bake up quite right. It ended up baking just fine. Upon tasting, however, the second problem arose. This supposed peach cobbler tasted like most recipes that don't add any fat: spongy and bland. I was actually embarrassed that I brought it to share with friends after I tasted it. I will not be making this recipe again. I could have been improved greatly with a small amount of fat and some cinnamon. Sorry to the creator of this recipe. This one is not a keeper. Find the original recipe on page 8: 100 Favorite Weight Watchers Recipes. Preheat oven to 375 degrees. Mix flour milk and Splenda. Fold in peaches. Pour into a dish coated with nonstick spray. Bake for 30-35 minutes or until golden brown. *The original recipe calls for butter flavored nonstick spray. I used plain. This is part of the reason the flavor was low, but sadly, I don't think that would have saved this recipe.